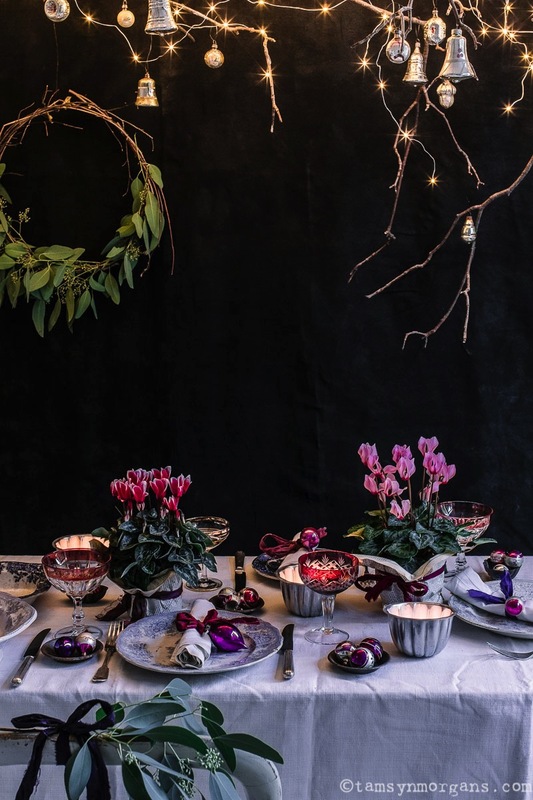 For my Reclaim Magazine feature this month, I shared four Christmas looks (you can see the first look here, a whimsical fairytale mantelpiece). 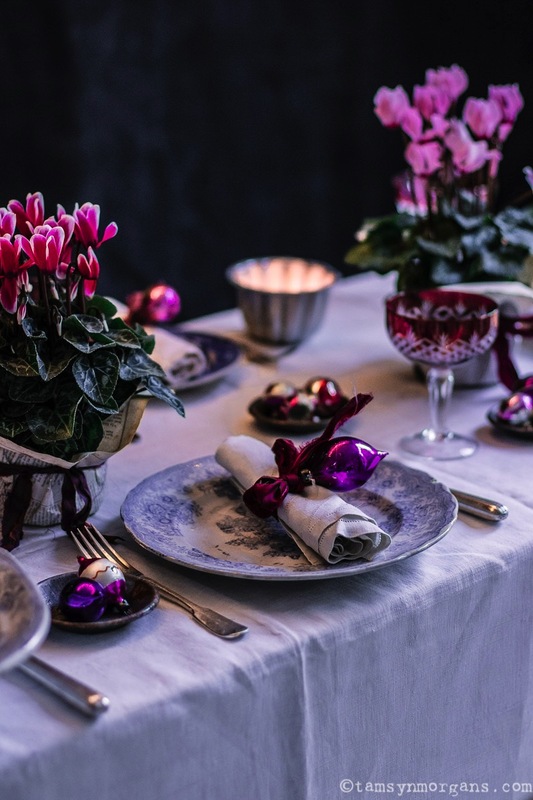 And here is the second look, an opulent dining table with flashes of purple and cerise, and all the gorgeous vintage elements that I love! 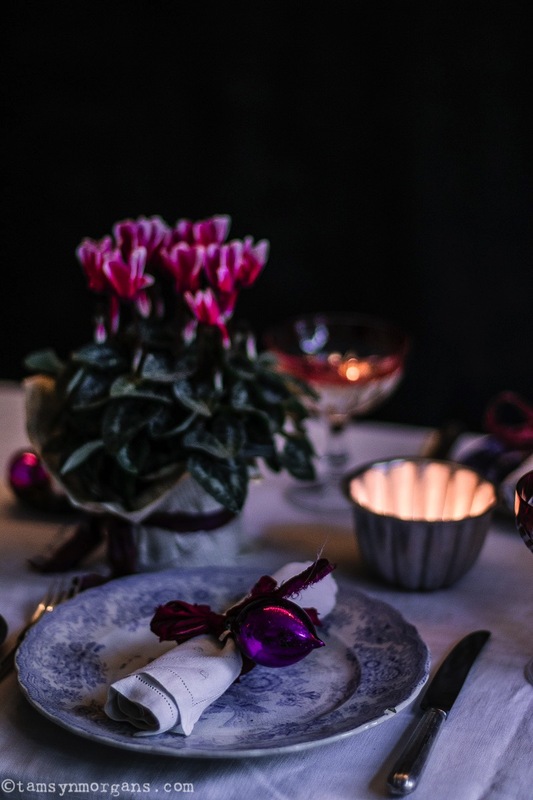 For a beautiful Christmas dining table, layer up vintage linen sheets, and use old jelly moulds as tea light holders. Collect mismatched crockery from charity shops and thrift markets. 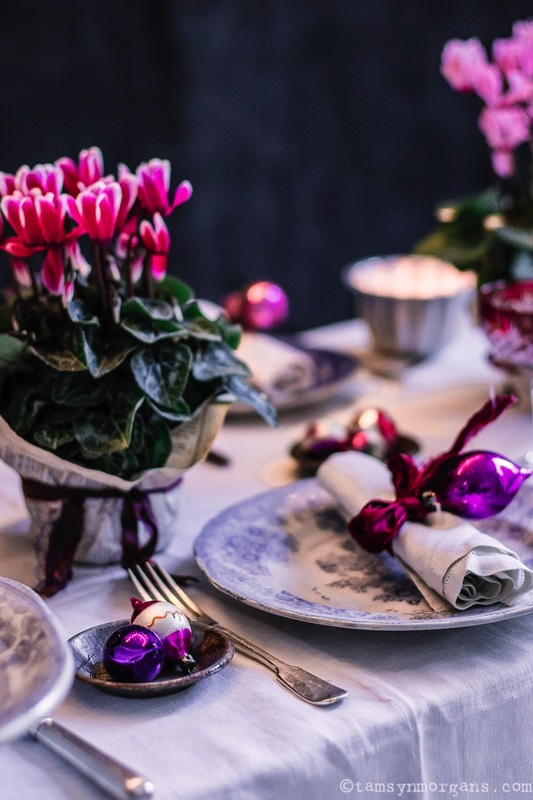 A twinkling branch suspended above your table makes for an amazing feature, especially when hung with shiny vintage ornaments. 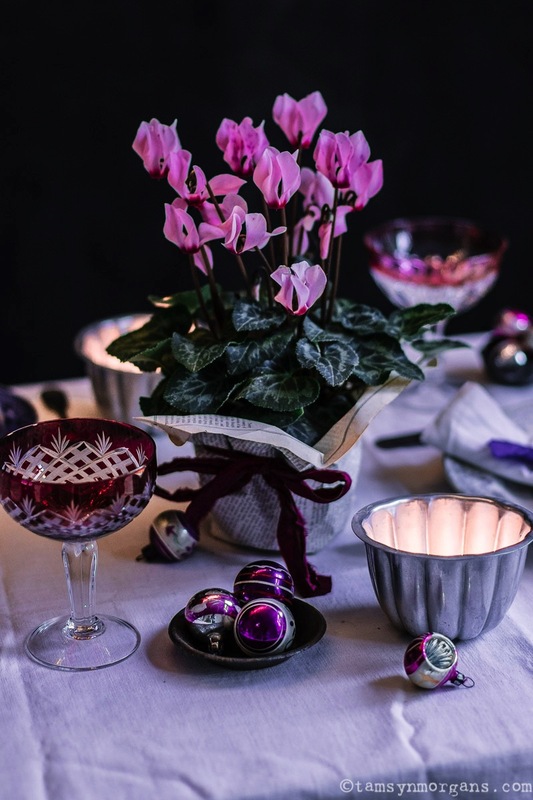 Little pots of festive cyclamen lined up along the table add a vibrant pop of colour. Tomorrow I’m off to London, for a winner’s lunch for the Amara Blog Awards! The restaurant looks pretty amazing, if you’re on Instagram, I’ll try and post my snaps in my stories, so come and follow along!